Our keynote speaker for closing day of the Living Future conference was the accomplished author and business woman, Carol Sanford. I personally haven’t had the time to read her page turning book, The Responsible Business, however, it came highly recommended by dozens of people we spoke with. I purchased my copy after listening to her speak about taking companies that were inefficient as a business and in the environment and turned those processes around through communication. This book was also rated by CNBC and was in their top 15 business books for 2011 in addition to several CEOs singing her praise for innovative and sustainable business. Free For All, published in 2011 by Jane Poppendieck, is a must-read about what is happening with the nutrition or lack thereof in our school systems. How did our children end up eating nachos, pizza, and Tater Tots for lunch? Taking us on an eye-opening journey into the nation’s school kitchens, this superbly researched book is the first to provide a comprehensive assessment of school food in the United States. Janet Poppendieck explores the deep politics of food provision from multiple perspectives–history, policy, nutrition, environmental sustainability, taste, and more. How did we get into the absurd situation in which nutritionally regulated meals compete with fast food items and snack foods loaded with sugar, salt, and fat? What is the nutritional profile of the federal meals? How well are they reaching students who need them? Opening a window onto our culture as a whole, Poppendieck reveals the forces–the financial troubles of schools, the commercialization of childhood, the reliance on market models–that are determining how lunch is served. She concludes with a sweeping vision for change: fresh, healthy food for all children as a regular part of their school day. Herbs, by Lesley Bremness came highly recommended by a very knowledgable gardener as the bible of not only herbs, but spices too. 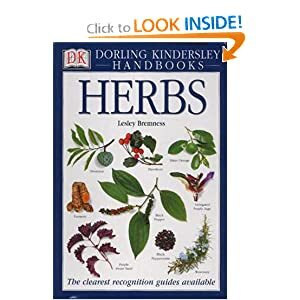 Purchase it new or used on Amazon or request a hold on this gardening tool from your local library to explore the 700 herbs it touches on. 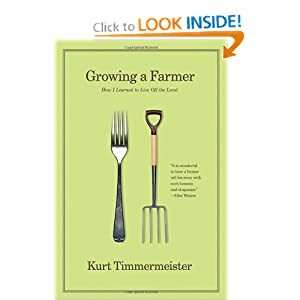 I absolutely adore this book, Growing a Farmer and the fabulous and articulate author, Kurt Timmermeister. I have been lucky enough visit the beautiful farm he poetically writes about as well as savor a meal prepared from his enchanting garden. It is because of him and this book I dream of one day owning a small farm and make it a point to support local businesses and small farms. I was introduced to this book authored by the famous Paul Hawken in a class at the University of Washington and it became an instant favorite. Mr. Hawken puts a green economy to work and displays exactly how it would operate, there is no surprise it is a lot like nature. I love this book so much I am rereading it now. The Ecology of Commerce is the perfect book to purchase and read considering it is election season and our current economic climate.